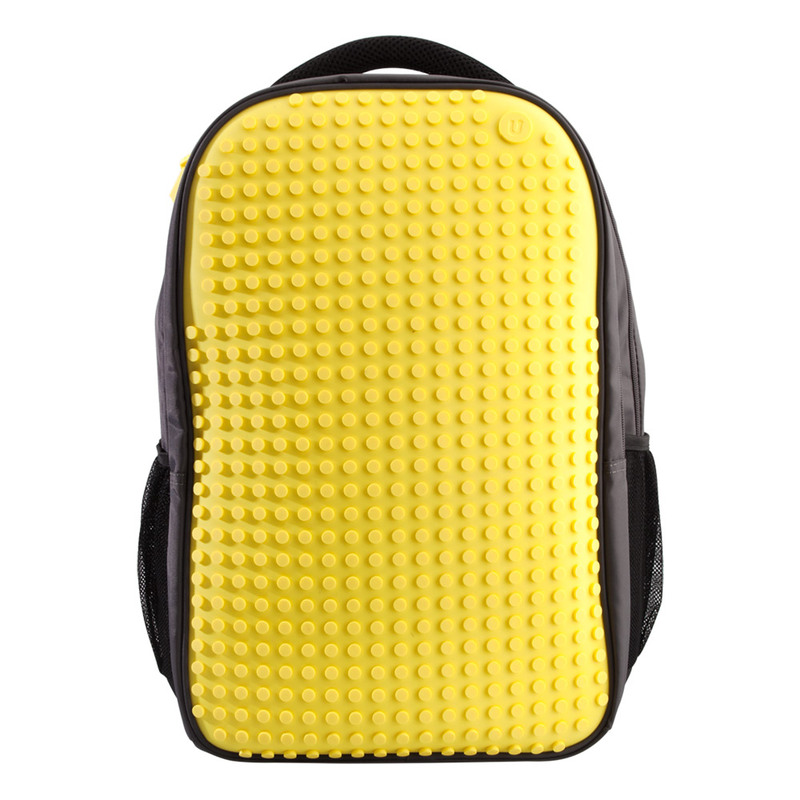 The Upixel patented silicone Flip-lid Backpack is gridded with 23 x 19 pixel points, giving you 437 pixel positions to express your ideas. 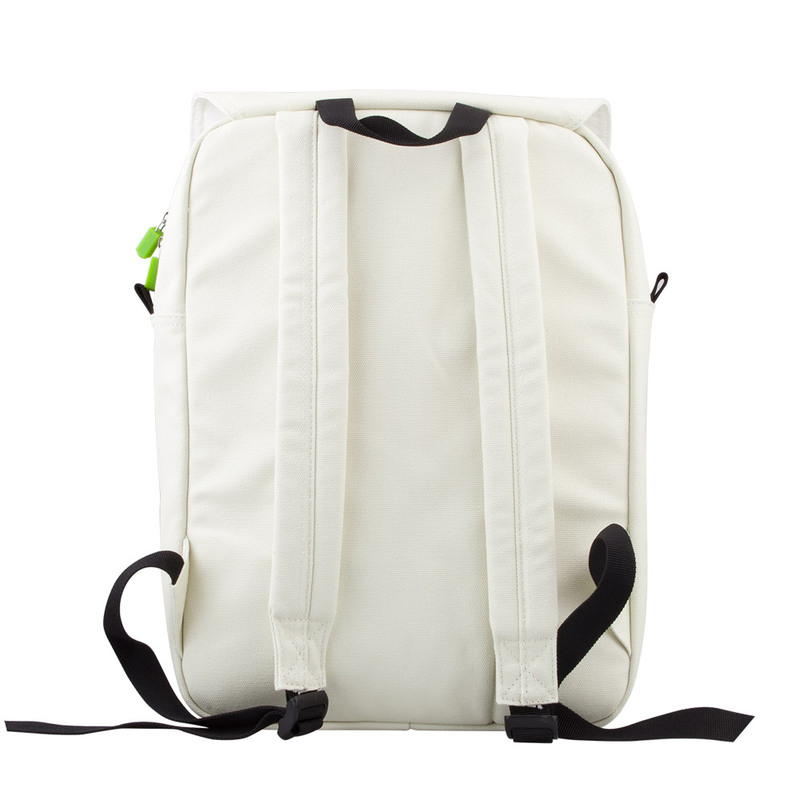 The backpack is made of canvas fabric and for comfort, the backpack has adjustable shoulder straps and a large handle for carrying. 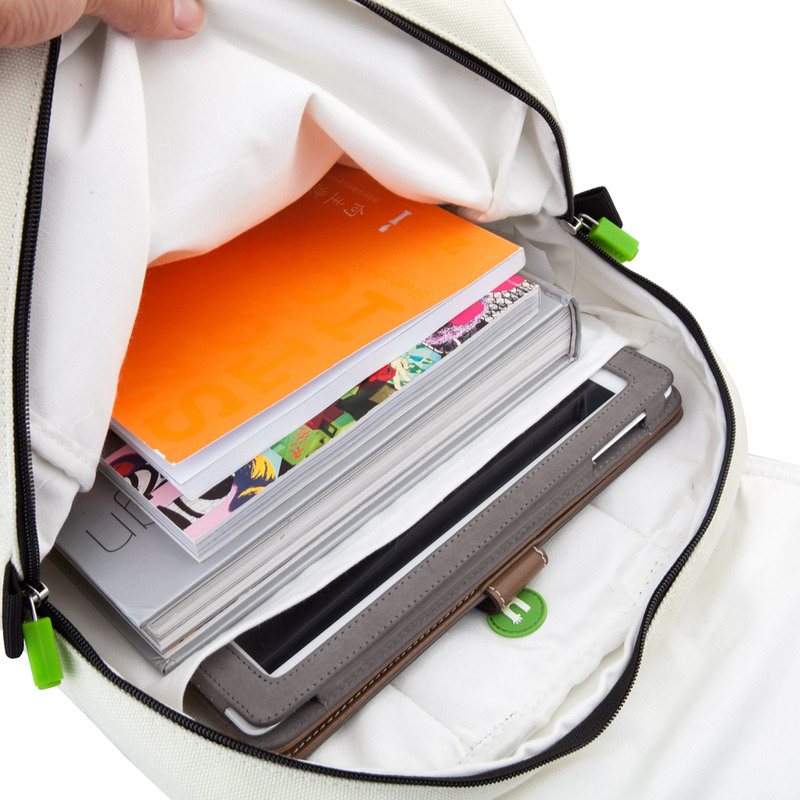 Inside, there is a padded compartment for a 15″ notebook and in the main compartment, there is plenty of room for your gadgets and documents. 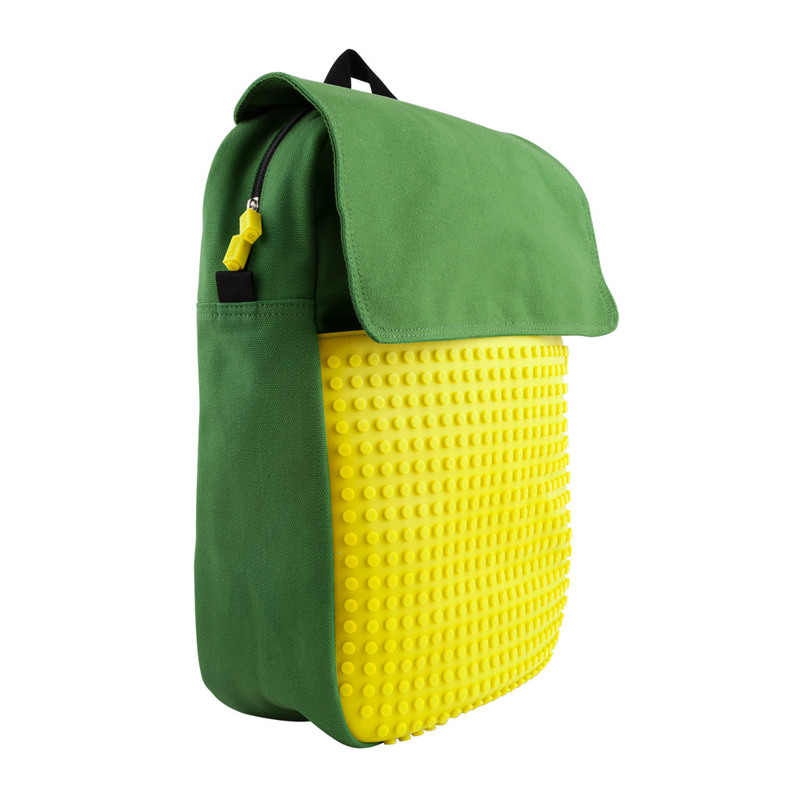 A zippered front compartment offers quick access to your more needed items. 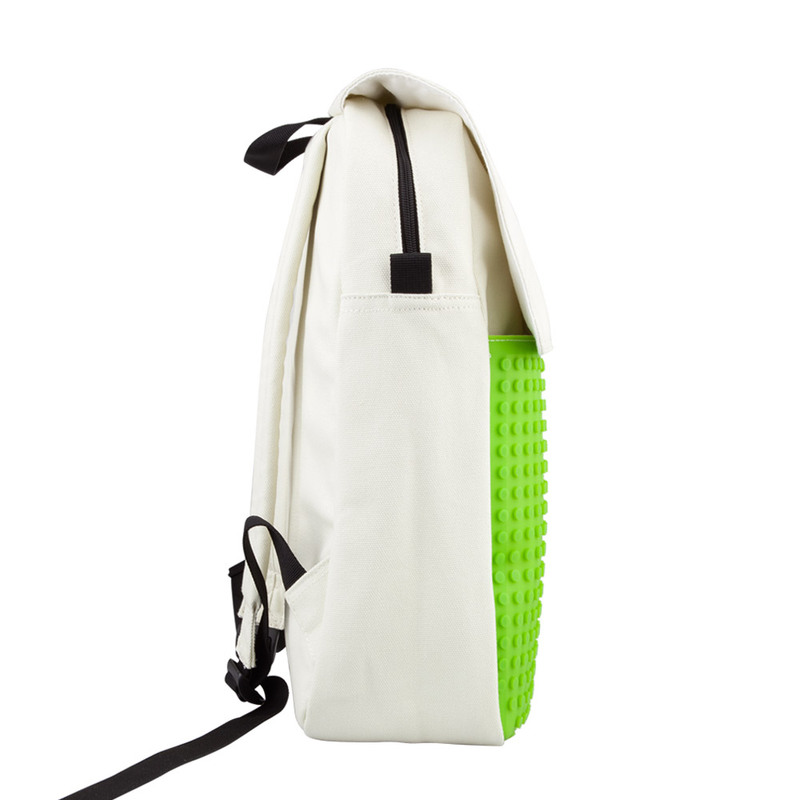 Once packed and zipped away, flip the lid and a magnetic closure system ensures that your bag stays safely closed. 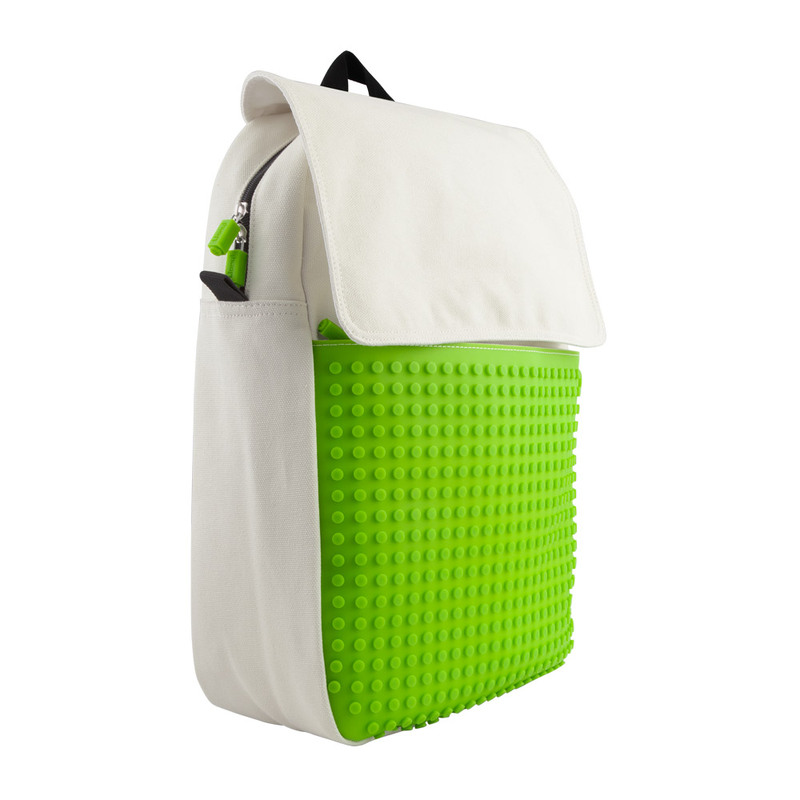 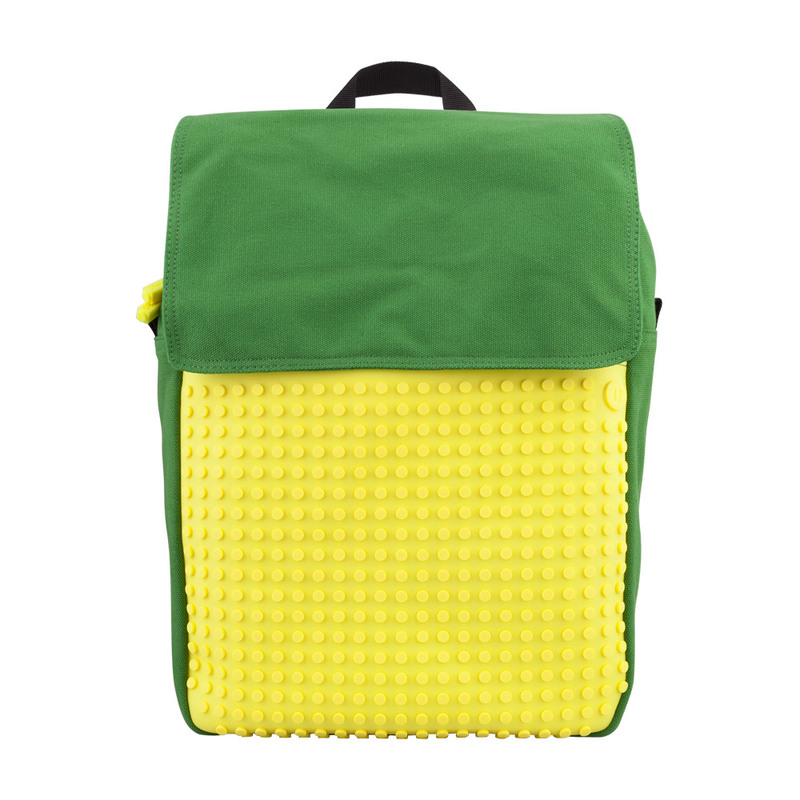 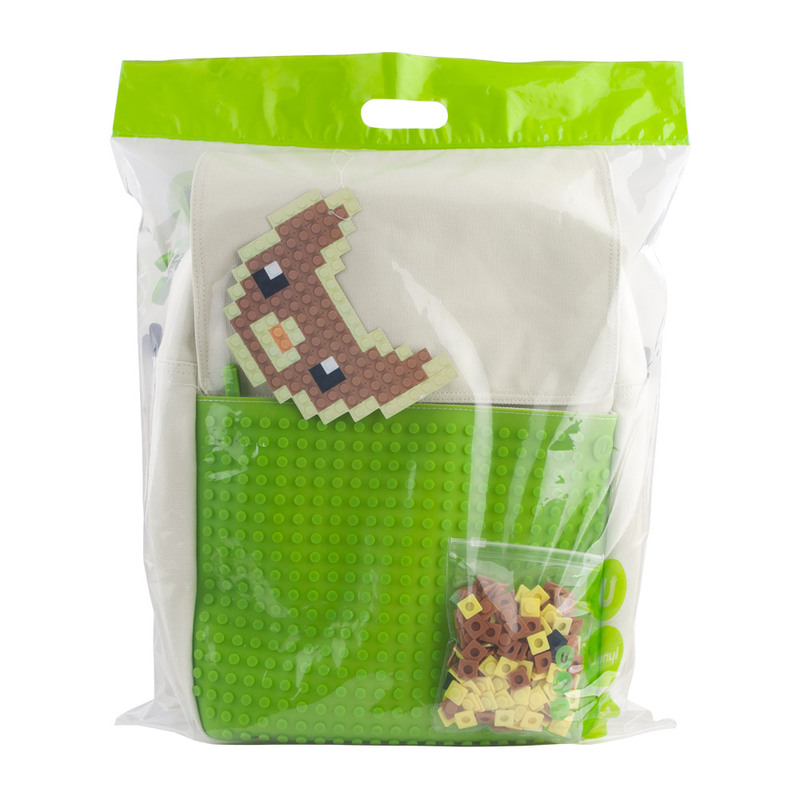 Every Pixel Backpack 05 comes with 235-240 free colour Pixels and a few ideas to get you going. 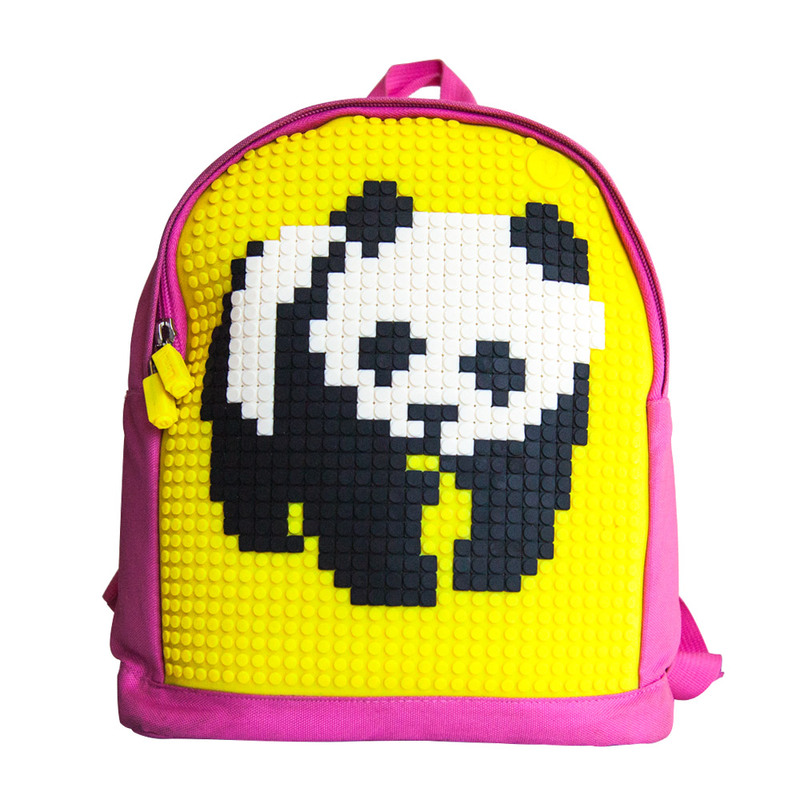 Got an idea for a pixel art masterpiece? 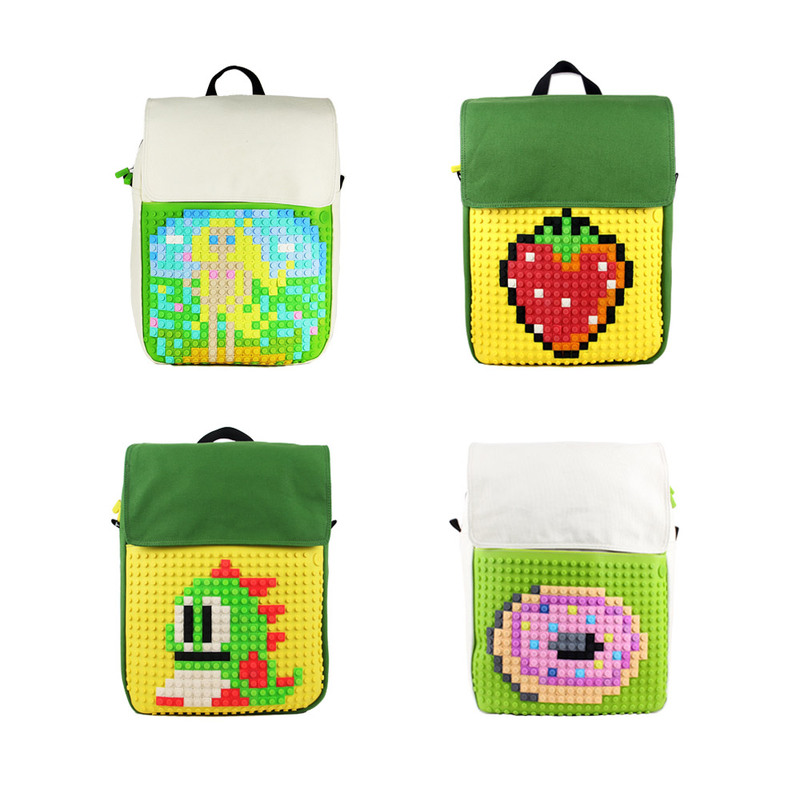 No problem, there are 24 pixel chip colours to choose from.